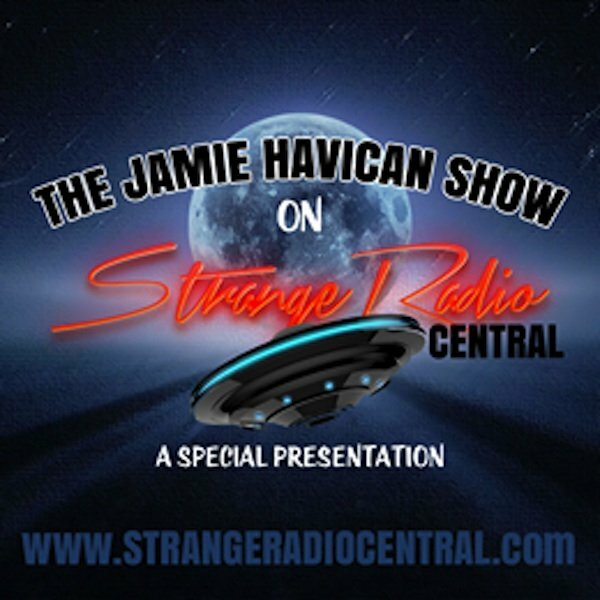 CONSPIRACY & PHENOMENON: UFOS, GREEN FIREBALLS AND MIB (MEN IN BLACK). 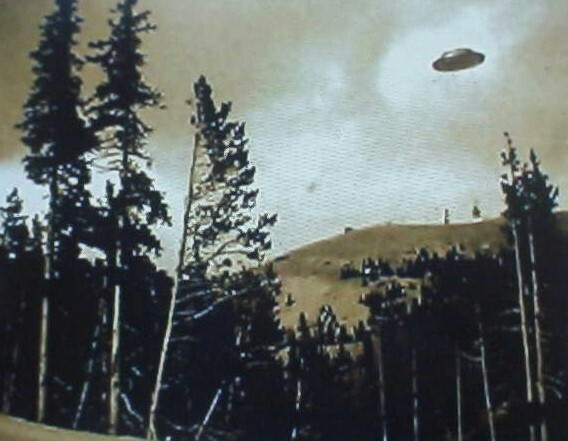 This LEFT- UFO photo was shot in 1929, at a Colorado lumber company. Is the UFO legit or is it a water stain? 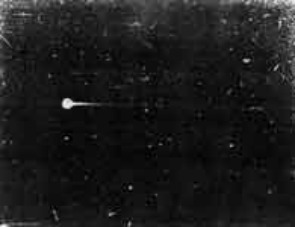 According to NICAP =NATIONAL INVESTIGATIONS COMMITTEE ON AERIAL PHENOMENA-- the photo was taken in Ward Colorado, April 1929. 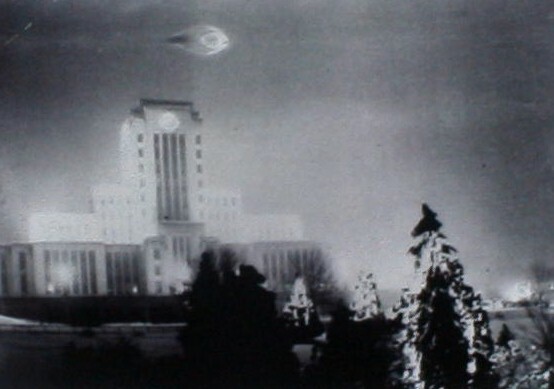 The UFO was photographed by Edward Pline. According to his daughter, Hetty Pline, who was born in 1923, the lumber mill workers heard a loud sound and then felt the ground shake. 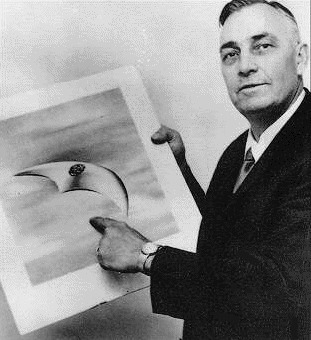 The second photo is an enhancement-painting of the 1929 UFO. LEFT PHOTO is claimed to be from TIENSTEN CHINA 1942 or TIENJIN, JAPAN 1911. Note the wide avenue and no cars, the people pointing or looking skyward. China had been at war with Japan since 1931, and wracked with civil war. It is possible that there would be no cars on a major street in a Chinese city of that era. 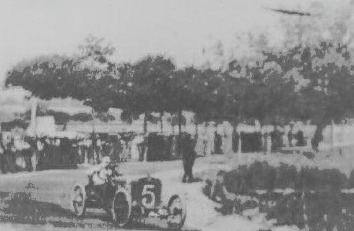 As for JAPAN, 1911, it is plausible a street in 1911, (a major avenue judging by its width) in the Orient-JAPAN would not have any cars. Who knows where this photo was taken? With the Rikshaws, it looks like China to me. Then again, is this a superimposed photo? Are the people looking up at a World War II bomber or fighter plane that is in trouble? Later on a photo wizard put the UFO in place of the plane? Or is it legit? Yes, I think it is legit. 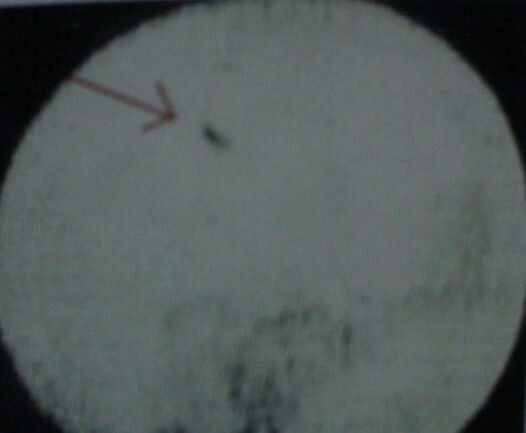 LEFT PHOTO 1960s UFO picture was found out to be later a FAKE. With fishing line a Flying Saucer model was swayed against the sky. 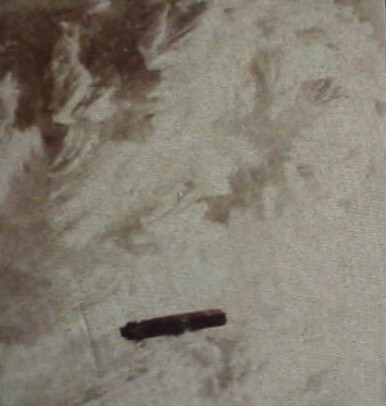 The photo comes from a 8mm film of the boxed sighting. UFO photos, can be faked. But then there are some, that are the REAL McCOY! BELOW LEFT is a photo from 1948 ANCHORAGE, ALASKA, is this a real photo or a hoax? UFO BLINKS OUT! WARP OR DIMENSIONAL TRAVEL? OR REFLECTION OF PLANE's TAIL SECTION? The following photo is from a 8mm film that was taken on April 2, 1966 in Staffordshire England by Thomas Oldfield and wife as they flew on their first passenger plane. What is said to be shot is that of a UFO that hovered, then morphed into another shape and vanished in a blast of white light. 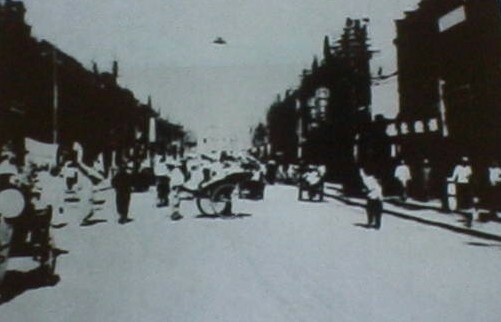 This cigar type UFO is similar to the one seen in 1880 NEW MEXICO. Through the years when this type of CIGAR or FISH shaped UFO was seen, supposedly-at times- a door or hole in the sky opened up and sometimes a jungle scene was seen as the craft went into the hole in the sky. The portal or hole closed and the UFO was gone. This type of craft matches closely with the UFOS seen all over the USA during the late 1800's and in the USA's Southwest during the 1960s. 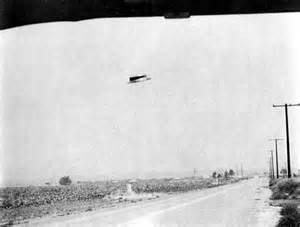 Reports from 1965--1966 have a cigar shaped UFO being seeing in the distance from old Route 66 , which was an interstate that started in Chicago and ended in Los Angeles. 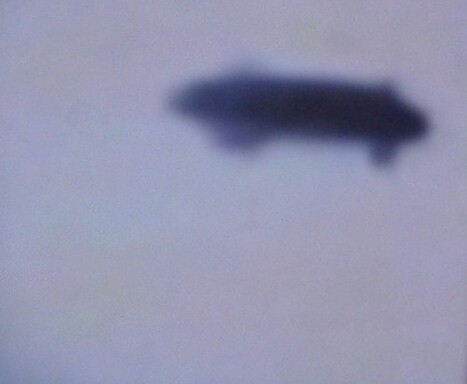 The reports of this cigar shaped UFO, came from New Mexico, Arizona, and California. Most debunkers think this object is the reflection of a tail section on a plane, as in what is seen through the lens of a camera looking out of a passenger plane's window, as the camera is zoomed in and out-- this object appears. BELOW: The film of this UFO or plane section reflection on the first Video is in slow motion so one can see the morph r camera zoom, depending if one thinks this is a UFO or camera shot-reflection The 2nd LINK has REGULAR SPEED AND SLOW MOTION. Other debunkers claim this object has nothing to do with the camera but is a trick of light , a camera malfunction, an insect that was on the lens, or it is a hoax. Judge for yourself. I try to be as skeptical as possible-- I think this is some type of reflection that was caught on a plane's window and the zoom in or out--- made this film. I could be %100 wrong, I think this is an honest mistake or misidentification. UFOs when they have been seen speeding off, they do not fold up, they tend to just speed off in a few seconds and they are gone. 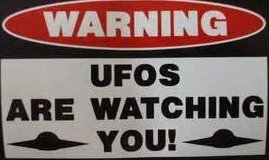 What can not be explained-- is why these UFOS do not create a sonic boom as they fly off at for lack of better description AT WARP SPEED. Also these UFOs that are seen rarely have any motor noise. They tend to be silent motor wise and when they leave at great speed, NO SONIC BOOM! __________________________________________LEFT PICTURE--- the photo's date is controversial. 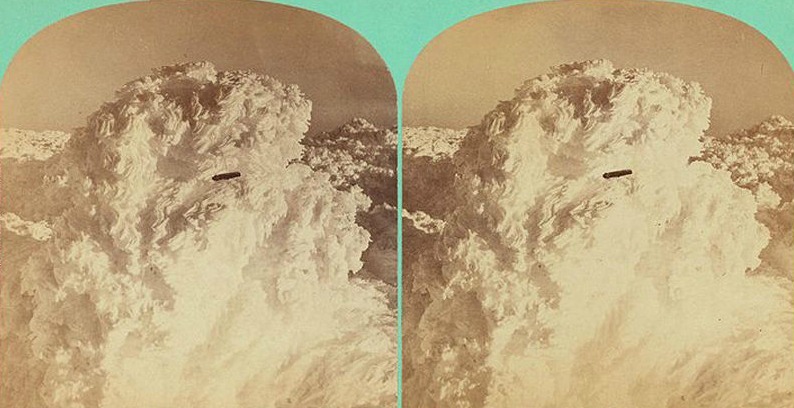 It was either shot in 1870, or the winter of 1870-1871 depending on the source. Supposedly this picture was taken in New Hampshire from a telescope that was looking at Mt. Washington. 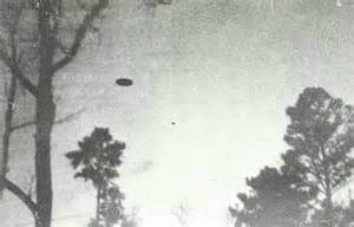 The photos does show something-- a classic cigar shape UFO---- these craft were seen in the USA in the last years of the 1800's. As best I can tell the UFO is above MT. Washington, the clouds swirl obscuring the definition of the mountain below the craft. Is the photo legit? According to the UFO historians it is. Below a colorized version of this unique photo from the 1800s. Depending on the source, either the original photo or the colored version of the UFO photo, sold on EBAY in 2006 for $385... That story I kind of doubt, maybe if it was the original photo -- but even at that, hmmmm??? This strange coin dates from 1680 France. The Latin words translate = "It's here at an opportune time". 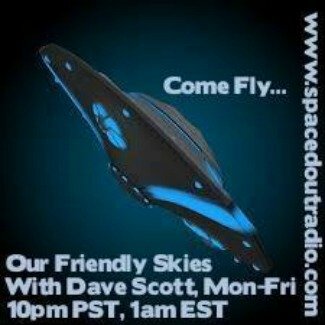 Is it a flying saucer, it looks like an aerial craft. Debunkers claim it's a mushroom. Is it possible this coin, the size of a quarter, was used to commemorate Ezekiel's story in the Bible? How does the inscription blend with the Biblical story? 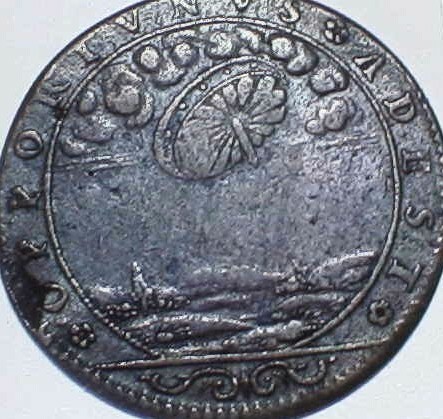 Is the coin designed to remind the populace of an UFO that appeared during a major turning point or event, in French history? 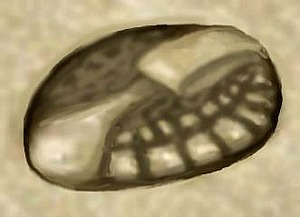 What a strange find, an engraved picture of an UFO or of a fungus--mushroom. 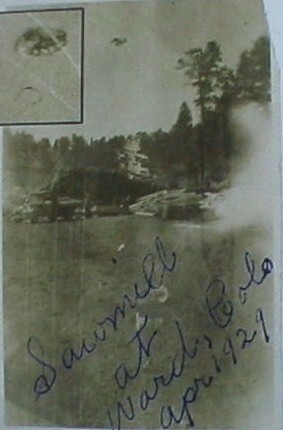 UFO photo from 1927 shot at Cave Junction, Oregon. Is this legit, I have doubts. The photo looks to good for 1927 technology. It does look-- tooooo perfec? Wagging tongues claim the photo was shot in the 1960's at Hyde Park, NM. It does look posed. ---------------------------------------------------------------------------------------------------------------------------------------------------------------------------------------------------------------------------------------------------------------------------------------------------------------------------------------------------------------------------------------------------------------------------------------------------------------------------------------------------------------------------------------------------------------------------------------------------BELOW LEFT PHOTO-- taken on JANUARY 25, 1967 in HAMPTON, VIRGINIA, by a teenage boy. 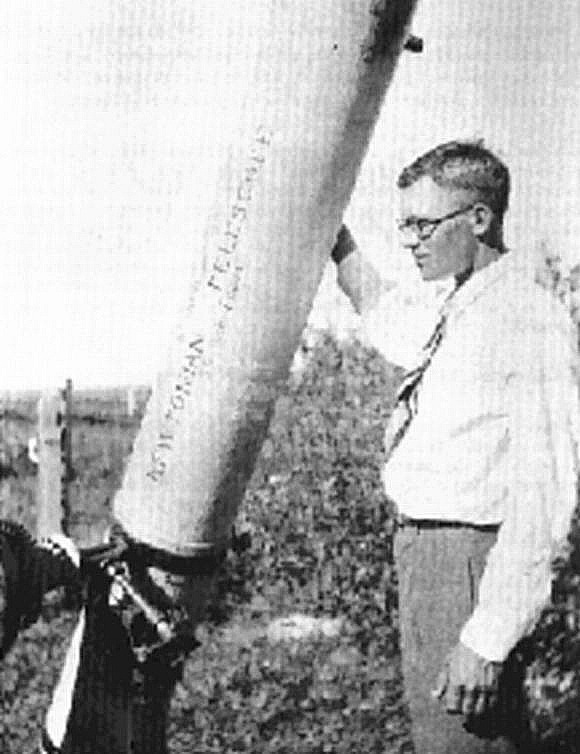 The UFo was said to be as big as a Piper Cub airplane--- (single engine Cessna). The AIr Force authorities looked at the photo and concluded that that they could not determine if it was authentic or fake. (UNDETERMINABLE)---------------------------------------------------------------------------------------------------What could be determined was that a UFO flew over 1942 L.A.00 the FOO FIGHTER was tracked and shot at-- click on left photo to get to this page. A 1910 photo from France with a UFO in the far right corner, hovering, hmmmm? 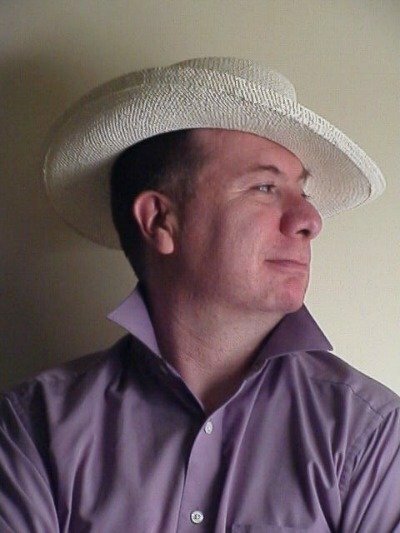 Many people have labled this old photo as bogus. This photo was taken in 1937-(WINTER HOLIDAYS) in VANCOUVER--- when a Canadian soldier on leave took some photos of the CHRISTMAS LIGHTS at city hall. The pundits claim the UFO is a water drop, I think this is a legit photo of an UFO. 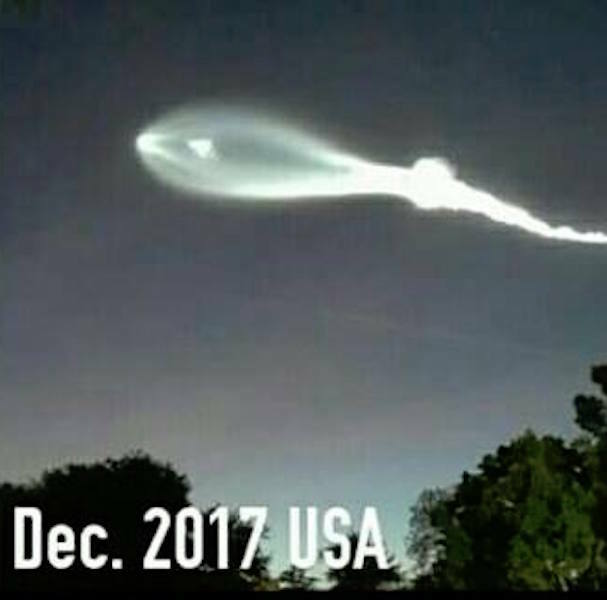 When this snapshot is compared to other photos on this website, this type of craft + vapor trail-- does resemble other craft. 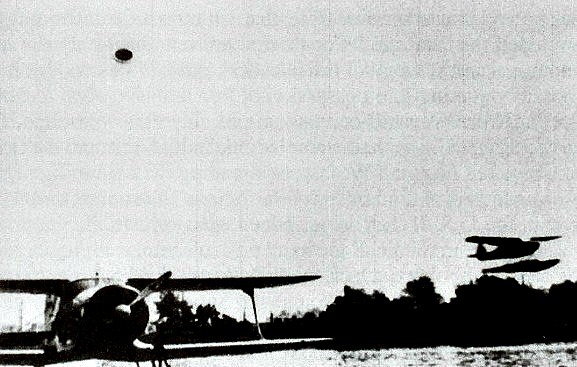 It is of note that other UFOs were sighted when this snapshot was taken, but this is the only photo that captured a FOO FIGHTER on film. BELOW: The photos is from December 2017 over Los Angeles, California. The authorities attest -- what is seen is not a UFO but a military rocket. Is it? There is a similarity between the two photos --1937-2017.. 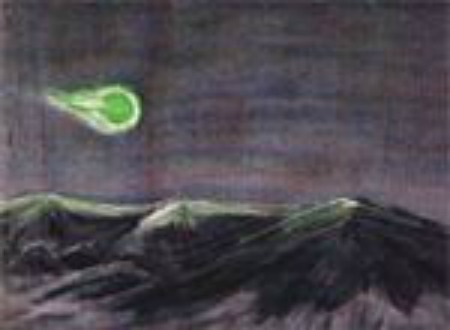 This green fireball drawing was an illustration for an UFO article that ran in an April 1952 issue of LIFE MAGAZINE. The green fireball was sighted in NEW MEXICO on July 10 1947. Notice how the drawing does resemble to a degree the Canadian photo of 1937. Throughout the 1950s green fireballs were seen over northern New mexico and occasionally in western Pennsylvania. The B/W photo was taken by an Air Force observation team on February 24, 1950 near Datil, New Mexico. The fireball was reported to be green in color. DIG THIS SITE? THEN YOU WILL DIG THIS BOOK!!! TO PURCHASE THIS BOOK-CLICK ON BOOK COVER OR CLICK ON "ORDER BOOK" . 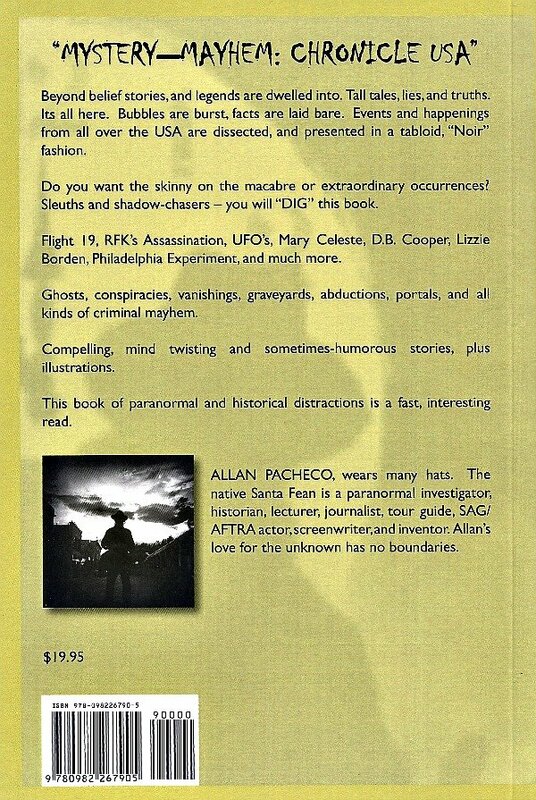 Yes, I will autograph your book, let me know to who with order at Pay Pal site....This book brings new info into the open on, the "ABDUCTION OF BETTY & BARNEY HILL", "FLIGHT 19". Smaller features on the abduction of pilots "MONCLA & WILSON", etc. 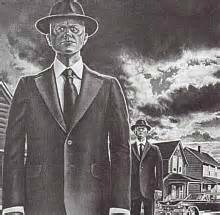 Since the late 1940s, people who have had evidence of UFO contact be it photos or chemical on their clothes (OIL) or metal product- etc, have been visited by MEN IN BLACK. These well dressed men manage to take the evidence that the person has, by way of lies, credentials, or by distraction and theft. It seems the civilian who has encountered the MIB or MIBs became confused or bluffed and then expertly conned. ------------------------------------The following 3 UFO photos were taken in by Rex Heflin in a 20 second time span with a Polaroid instant photo camera in Santa Anna, California on August 3, 1965. HEFLIN's job was to photograph signs that were obscured by trees or were in need of repair. In extreme cases as when a STOP or YIELD sign was knocked down, HEFLIN would radio the HIGHWAY DEPARTMENT with his van's 2 way radio to get a crew to quickly reinstall a destroyed sign. Around 12:37 Heflin saw a UFO over a agriculture field that flanked a road. Heflin grabbed his Polaroid and took these UFO pictures. These photos were later used in local California newspapers as Heflin's story was reported in the L.A. press. Heflin's photos and encounter made for a odd twist. The photos were stolen by Two MIB's who flashed false credentials to him when they visited his house. Rex thought that the duo were military personnel and that he would get the pictures back. 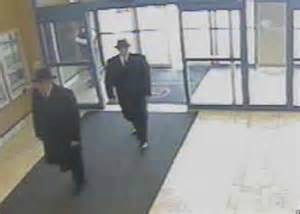 The duo claimed they were from the STRATEGIC AIR COMMAND. 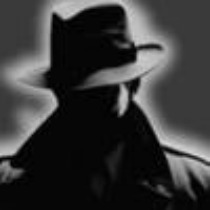 The MIB that did the talking at Heflin's house claimed he was a colonel, the other MIB was silent. Previous to this visit, the Marines and Navy Intelligence services had borrowed his photos and returned them. 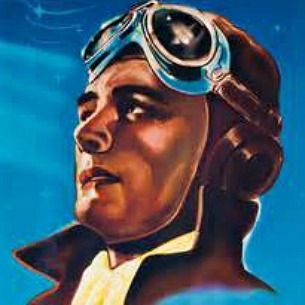 The AIR FORCE in their OPERATION BLUE BOOK investigations also investigated Rex Heflin's story and photos. Interestingly, Heflin did not feel right with the forceful MIB's, but he did believe there wanting the photos was part of the process, as in national security. When enough time elapsed REX HEFLIN tried to get the photos back but there was no record of these two men MIBs visiting Rex at his house. Heflin had been bluffed out of the polaroid photos. When all else failed, Heflin got his Senator Representative JAMES B. UTT to pull some strings and get his photo s back. UTT's efforts made no headway. So who were these MIBs? All that Rex had were the copies of the UFO Polaroids. In 1993, Rex received a phone call and a woman's voice over the phone told him to look in his mail box. Heflin went to his mailbox and inside the letterbox were his missing since 1965-original Polaroid photos. Depending on the agency, Heflin's photos have been proven by the so called experts to be fake or real. But why would these photos be stolen? 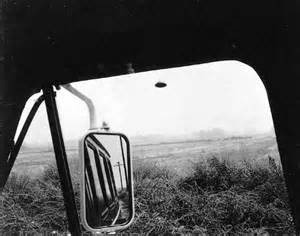 Myself, when I first saw the Heflin UFO-- in the snapshots-- back in the 1960s, I thought it was a hoax. The craft did not look authentic to me. I then changed my mind after reading about what kind of person Heflin was, he was by all accounts a good guy. Also his encounter with the MIBs, made for me to reconsider my snap judgment. 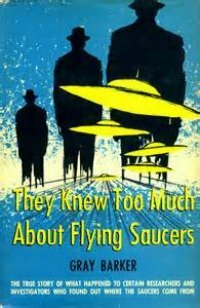 MORE PROOF THAT THE HEFLIN PHOTOS ARE REAL----In the late 2000s, by way of tests done by a KODAK-POLAROID expert, the polaroids were judged to be authentic UFO photos. Everything Heflin stated as far as the time allotment and how the camera's automatic focus works, were proven to be true. Another tidbit is that REX HEFLIN job was to report by radio to the HIGHWAY DEPARTMENT when he found a STOP or YIELD sign knocked down. 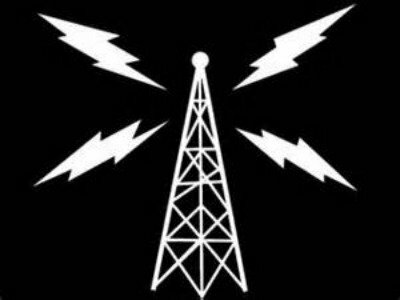 When REX HEFLIN saw the UFO, his radio malfunctioned. 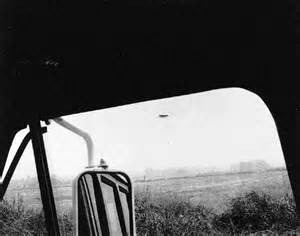 Also, other vehicles in the area that had 2 way radios, had their devices malfunction during the time HEFLIN saw and photographed the UFO. 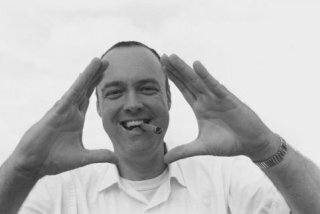 -----------------------------------------------------------------------REX HEFLIN (THE SMILING MAN WITH THE CIGAR IN MOUTH) DIED IN 2005, HE NEVER MADE A DOLLAR OFF OF HIS UFO PHOTOS. ECCENTRICS CLAIM THIS IS MORE PROOF THAT THE 1965 PHOTOS ARE LEGIT. BY ALL ACCOUNTS REX HEFFLIN WAS A GOOD GUY AND HAD A GREAT SENSE OF HUMOR. 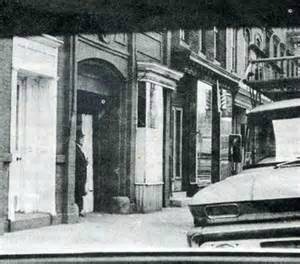 These two photos (1ST-3RD) (LEFT) show MEN IN BLACK during the late 1960s, a lot of cities claim these photo, Pittsburgh, Boston etc... Where these pictures came from, no idea, but one rumor has them being shot in Santa Fe, New Mexico. Who knows if these photos are legit as in photos of the mysterious MIBs. 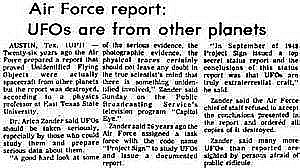 To be fair to the eccentrics when it comes to Santa Fe and MIBs, in 1967 Santa Fe experienced a UFO wave along with telephone communications going wonky. The pickup in the picture does look like a 1963 Chevy. So again, WHO KNOWS -- where this photo originated from? The MIDDLE ABOVE photo was sent to me, from a lobby security camera, it shows modern day MIBs. Is this photo a hoax or are these contemporary MEN IN BLACK ON JUNE 24, 1947 KENNETH ARNOLD, FLYING NEAR MT. 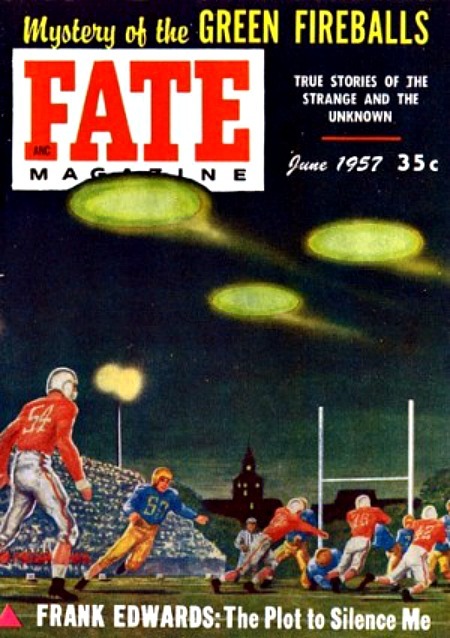 RAINER, WASHINGTON SAW A FLIGHT OF UFOS. 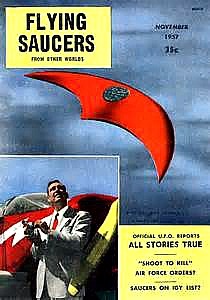 HE REPORTED THAT THE FLYING WING LIKE UFOs FLEW THROUGH THE SKY THE WAY A SAUCER SKIPPED OVER THE WATER, THE PHRASE "FLYING SAUCER" WAS THEN COINED BY THE PRESS. 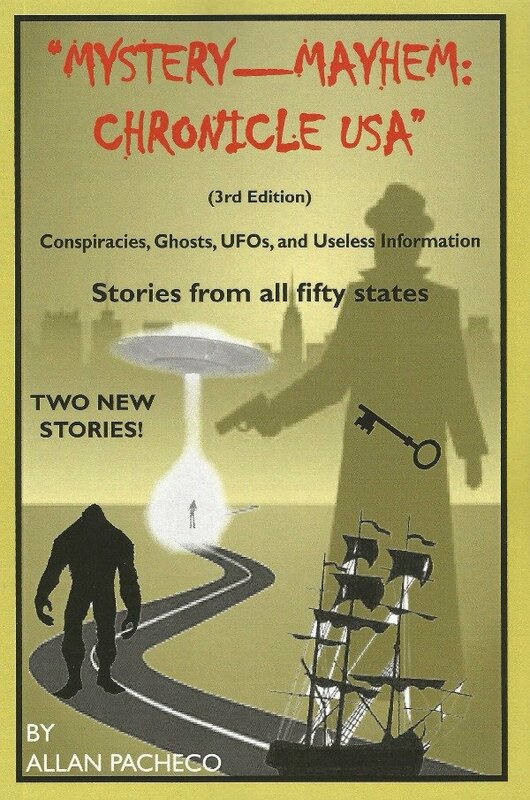 TO READ ABOUT KENNETH ARNOLD's UFO ENCOUNTER-- GET MY BOOK-- "MYSTERY-MAYHEM: CHRONICLE USA" THERE IS A SECTION IN THE BOOK ON THIS FASCINATING EVENT. 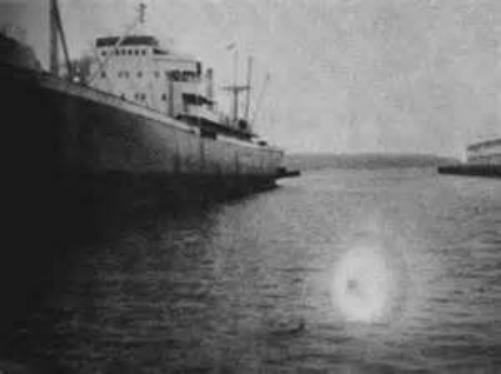 THIS OLD PHOTO (LEFT) SUPPOSEDLY SHOWS A UFO NEXT TO THIS TRAMPS STEAMER. IS IT A UFO, A GHOSTLY ORB, A LENS FLAIR OR A WATER SPOT ON A PHOTO? I HAVE MY DOUBTS ABOUT THIS OLDIE PICTURE-- BUT I HAVE BEEN WRONG MANY TIMES IN THE PAST. THE PHOTO IS SUPPOSED TO DATE FROM THE 1940s OR 1950s, THE INFO ON THIS PHOTO SENT TO ME IS VERY VAGUE. CONSPIRACIES ---- THE MISSING ----- CATTLE MUTILATIONS ------------ LA LLORONA ------TALES FROM ALLAN's TOURS & INVESTIGATIONS ---- /// 505-986-5002 /// 505-231-1336 /// OR SCHEDULE A PRIVATE TOUR WITH ALLAN (GHOST or HISTORY) -------- YOU WILL BE GLAD YOU DID!